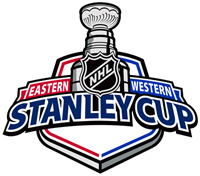 It’s that time of year again for 16 teams to lace up the skates and compete for the most coveted trophy in sports: the Stanley Cup. 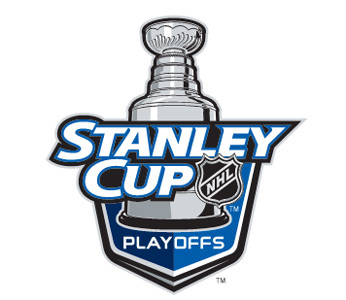 No postseason compares to the NHL playoffs — the speed, the excitement, the will to win it all. The Eastern Conference features a lot of the same faces this time around like Pittsburgh, New Jersey and Washington. The Western Conference showcases some fresh faces with Phoenix, Los Angeles and Colorado. Pittsburgh and Detroit have faced off in the Finals the last two years, and a three-peat isn’t quite out of the question. Series by series, here are the matchups and predictions. The Capitals put up 121 points and 54 wins this season and are bulldozing through their opponents. If Alexander Ovechkin didn’t miss time from injuries and suspensions, he would probably have won the races for goals and total points. But this team is going to need a goalie to lead them to the promise land. On the heels of a stellar comeback-type season, goalie Jose Theodore will get an easy first matchup against Montreal. Montreal will wish they had never made the playoffs. Has there been a more confusing team this year than the Flyers? Pegged by many to reach the Stanley Cup Finals, they’ve been in disarray throughout the season. Starting goalie Ray Emery didn’t pan out and ended up injured and out for the season. Captain Mike Richards is going to need to put the team on his shoulders once again. And it’s no surprise the Devils are here. Last season, the Devils were ousted by an upstart Carolina team, but it’s hard to see that happening again. It will be a tough series, though. It’s hard to believe it was just last year when Boston made it to the Conference Finals. Since then, they traded Phil Kessel and lost Marc Savard to injury, which put their offense in a serious grind. It didn’t help goalie Tim Thomas struggled mightily, but now they have 23-year-old Tuukka Rask who suffocated opponents with a 1.97 goals against average and a .931 save percentage. The goalie on the other side is no slouch either — USA starter Ryan Miller. This series comes down to whom can put the puck in the net. Buffalo has 12 players with 10 goals or more, and Boston’s leading goal-scorer has just 22. The defending Stanley Cup Champion Penguins find themselves facing a somewhat surprising Ottawa team. With all the talent Pittsburgh has, it’s a mystery as to why they never compete for a top seed. But the regular season doesn’t matter anymore, of course. This is where the Penguins excel having been to the Stanley Cup Finals two years in a row. The Senators were already overmatched, and now after losing Alexei Kovalev for the year from a torn anterior cruciate ligament, the Sens are the dead horse preparing to be beaten. If there’s any NHL topic that’s been exhausted, it’s the playoff woes of the Sharks. They dodged a bullet in not having to face a red-hot Detroit team. The Sharks shouldn’t have any problem taking out the Avalanche early. The Avs haven’t played well since the Olympic break, goalie Craig Anderson’s massive workload has caught up to him, and key players Peter Mueller and Matt Duchene are recovering from injuries. With that being said, the Sharks still don’t have the confidence to sweep a team in the playoffs or beat them in five games. San Jose will take the series, but not without shooting themselves in the foot a couple times. This could get ugly really fast. Chicago must be disappointed with blowing a golden opportunity in the last game of the season against Detroit. If they won, it would have meant a number one seed and home ice advantage throughout the Western Conference playoffs. That puts Nashville right in the crosshairs of an angry team led by seemingly-always disgruntled coach Joel Quenneville. The Predators have heart, though, and they never quit. Despite the high probability of being skinned alive, Nashville will give it all they have. Of the eight Western Conference playoff teams, only Vancouver has a losing record away from their building. This gives the Kings a chance to pull off maybe the only upset of the first round. Los Angeles has a young core of players similar to what Chicago has. The Kings have players like Dustin Brown, Drew Doughty and Anze Kopitar that can keep them a playoff threat for many years to come. For Vancouver, it’s all about goalie Roberto Luongo and twins Daniel and Henrik Sedin. If you stop the Sedins, you’ll win. It’s a simple concept, but few teams can accomplish it. Contrary to popular belief, this isn’t a typo. The Coyotes really are in the playoffs and a fourth seed no less. They shocked the hockey world after being in fire and brimstone the last several years. Ownership questions, gambling scandals and relocation considerations bogged down this franchise. But with new coach Dave Tippett, Phoenix got revitalized and finished with 50 wins and 107 points. Their reward? The hottest team since the Olympic break. Near the midpoint of the season, the Red Wings were out of the playoffs dealing with a stockpile of injuries. But they’re back to Stanley Cup form and are once again dangerous. The Western Conference can only hope Phoenix can pull a miracle and oust Detroit. But let’s be real. This is Detroit and these are the playoffs. Quite the vicegrip game for the Sharks as they clamped down on the Los Angeles Kings and won 5-1. It was the Sharks best performance and third win against the Kings this season. The two previous wins were 2-1 affairs. San Jose has outscored their last three opponents 18-4 and have found their groove. This has to be one of the best stretches the defense has played all year. They’re keeping their sticks on the ice, using good positioning and locking down opposing teams’ best players. That’s a recipe for success. Jay Leach has really surprised me. He’s learned the system and playing great defensively; he’s also been seen pinching in the offensive zone. Even his partner Kent Huskins, who I enjoy ripping, is playing well. He was second on the team in ice time tonight with 20:23. Wow! Perhaps I underrated him? Hahaha, no. Patrick Marleau started things off quickly with a power play goal just five minutes in. Power plays were the name of the game. 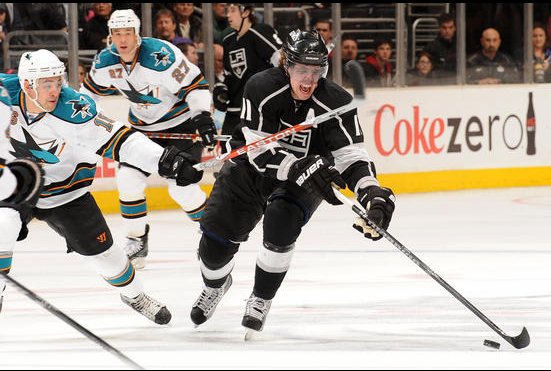 The Sharks were 3-3 on the man advantage and held the Kings to no power play goals on five opportunities. Patty would score another power play goal in the second period; it came just after a Kings shorthanded breakaway that goalie Evgeni Nabokov stopped. Nabby couldn’t find the magic for a shutout though, like usual. I tell you what — the Sharks are like me playing NHL 10. I always manage to allow at least one goal and never get shutouts. It’s the same story in real life. I wonder if Nabby is wondering if he’ll ever get one again. We’ll never know because he’ll just tell the media it’s about the win. Don’t just take that answer. He’s a prideful Russian. Ryane Clowe scored two goals as well, making it his first two-goal game since Nov. 11, 2008. Guess who was on the ice and notched the primary assist. Manny Malhotra! OK, this is the one thing I was definitely wrong about. Manny is an amazing catalyst right now especially, but he’s provided so much to the team. Every line he ends up on scores. Joe Thornton, Jr. anyone? Maybe my favorite part of the night was the third period. Again the Sharks kept their teeth on the jugular. Dan Boyle attempted to fight Dustin Brown, but the refs wouldn’t allow it. This star player protection needs to stop. Let these guys fight. The biggest excuse is “but we don’t want them to get hurt.” I rarely ever see players get hurt in fights. Injuries happen much more after bonecrushing hits or cheap elbows. That wraps up the season series with L.A. thankfully. The Sharks finally solved them. It only took four months to do so. Hit-O-Meter: SJ 18 LA 28; Scott Nichol led with four. The Sharks look to continue their Sherman-like march on Thursday when Anaheim travels to San Jose. Quite the grueling performance by both the Sharks and Kings, but it was the Sharks who earned a 2-1 victory, their first regulation victory over the Kings this season. Coach Todd McLellan held a meaningful practice after the debacle against Detroit. More drills about competing and hard work. It helped the Sharks through the first two periods. They actually looked like a team that wanted to win. The Sharks got on the board just four minutes into the game when Dan Boyle wristed a shot toward net; it went in after being deflected. They took a couple penalties forcing the penalty kill unit to halt a fierce Kings power-play. Despite being pelted with pucks and fatigued from constant forechecking, the PK held its ground all game. The Kings finished 0-5 on the man advantage. Excellent work by the PK. Once again the Sharks started a period on a good note — this time on the power-play when Dany Heatley batted his own rebound out of the air and into the net. Perhaps not being used to a two-goal lead hampered San Jose a bit. Just one minute after Heatley’s goal, the Kings cashed in on a juicy rebound to keep the score tight. And then the Sharks showcased a problem that’s been bugging the team for two months: the lack of a killer instinct. San Jose has made a habit out of keeping opponents in games. The last time the Sharks beat a team by at least four goals was all the way back on Nov. 7 against Pittsburgh (5-0). Wow. It’s something I haven’t thought much of because of the recent winning streaks, but that’s intriguing. Does it mean much? Maybe. Maybe not. But it sure has been a long time since seeing the Sharks blow someone out of the water. I mention all this because tonight in the third period, the Sharks reverted back to their Wings game. They were outshot 12-0 to start the final frame and couldn’t clear the puck. Kings goalie Erik Ersberg could have written a memoir before the Sharks tallied a shot. Another difficulty the Sharks faced tonight was, surprisingly, in the faceoff circle. 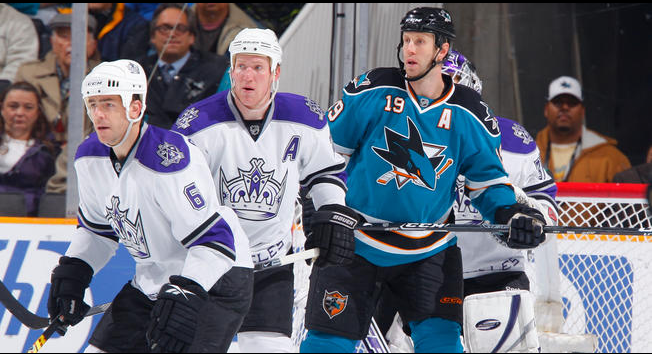 You don’t see this often, but the Sharks were beaten by the Kings in faceoff percentage. It wasn’t by much (51%-49%), but the Kings were winning the important draws on the power-play and in the offensive zone. I wouldn’t read too much into this, as I think it’s a one-game deal, but it’s worth noting. Hit-O-Meter: SJ 25 LA 44; Scott Nichol led with five. I’d like to see Jay Leach get some ice time with Jason Demers in a game. Scratching Kent Huskins might go against the laws of McLellan, but it won’t be the apocalypse if you try it out. After all, Huskins almost scored on his own net tonight. It’s a back-to-back for the Sharks. They travel to the desert to battle the Phoenix Coyotes tomorrow. Quite the wtf game for the Sharks as they lost miserably to the Los Angeles Kings 6-2. Despite outshooting the Kings 47-20, the Sharks couldn’t solve LA goalie Jonathan Quick or make up for their defensive lapses. Things looked good early for the Sharks. Torrey Mitchell was on the power play and working hard with Devin Setoguchi. The forecheck looked strong, but the Kings struck first when no one marked Michal Handzus, who scored on a wraparound. Two LA power play goals would follow on similar defensive lapses. Nobody wanted to mark their man or take proper position. It looked like the beginning of the season all over again, as well as the first game against Los Angeles where the Sharks were destroyed. In the second, the Sharks put their best shots on Quick but nothing would get past him. Quick is something like 3-0-1 against the Sharks now. They really don’t need another Pacific Division goalie giving them problems. Two more LA goals in the period made the score 5-0. We all know this next statement was coming so let’s get right to it. The Sharks were 7-0 with Jason Demers back in the lineup, and now they’re 1-1 since sending him down. What in the world has to happen for the Sharks coaches and management to realize they win games with Demers in the lineup. You are not getting different results by taking him out. You keep losing. For the love of all that is holy, call him up and keep him there. Get it through your thick skulls. Sheesh. I’d also like to address what a bunch of terrible announcers LA has. The analyst took it upon himself to mock the “Beat LA” chant at the end of the game. Yea, you wouldn’t do that at the beginning of the game would you tough guy? Very professional of you. That’s why the only job you could get was on a terrible franchise’s broadcasting team. We’ll see where your team is come playoff time. Probably on the couches, but if by some divine intervention the Kings make the playoffs, enjoy your first-round exit. In a game like this, I would expect someone to step up and fight, but no one did. Instead of opening the second period with a message, you guys waited to the third to make a goalie change. That was your message? Come on. Jody Shelley and Brad Staubitz should have dropped the gloves. What’s wrong with you guys? Did the long layoff make you soft? That is what you are a Shark for; otherwise, demote yourselves to Worcester. Hit-O-Meter: SJ 19 LA 13; Three players had three hits each. This ends the Sharks eight-game winning streak, and the three first-period goals ends a 10-game streak without allowing one. The Sharks were No. 2 in penalty killing. They allowed three power play goals tonight. The Sharks get a chance to rebound, Wednesday, against St. Louis. Quite the incredible performance by the Sharks in their 5-4 overtime loss to the Los Angeles Kings. I use the word incredible as the literal meaning, i.e. you can’t believe it, not credible. Same old, same old. A lot of flash, lousy execution. Man this is getting annoying playing down to inferior teams. It’s the Sharks third straight loss, and fourth loss in seven games. It’s officially a slump. The Sharks are No. 1 in the NHL on faceoffs, while the Kings are No. 20. Somehow the Sharks found a way to lose most of the faceoffs. The final tally was 52%-48% Kings. This is what made the Sharks lose. It seemed like they lost every offensive zone draw and they had to have lost a majority of faceoffs while on the power play. Speaking of, the extra work on the power play during the layoff didn’t help. Sure they scored on PP goal, but once again they tried to be too fancy. I can think of one specific example: During a 4-on-3, a few Sharks were parked one foot from the crease. Instead of shooting, they just stood there with imaginary cement around their skates and would not shoot. They need to revert back to last year’s philosophy of shooting everything from everywhere for the power play. This is ridiculous. Accompanying the worthless power play was taking dumb penalties. The Sharks were asking to be scored on and they were. Two of LA’s goals were on the man advantage. I guess with all that work on the power play, the Sharks forgot about penalty killing, which they were No. 1 in the NHL. The overtime goal was a great way to cap off the game; Dustin Brown, who had been slumping, used a spin and a weak shot to beat goalie Evgeni Nabokov. And yes, the puck went five-hole. One good note was Ryane Clowe, who finished with two assists and a +1 rating. He now holds a 10-game point streak. I really don’t think the Sharks can do much else to get out of this slump. It’s just one of those times of the year where nothing is going right. They’ll pull out of it eventually, but this isn’t a good time of the year to have one. Seven out of the next nine our division games, so something better happen soon. Hit-O-Meter: SJ 27 LA 33; Scott Nichol (5) and Manny Malhotra (4) led the team. The Sharks are now 1-1-2 on this five-game homestand. The Dallas Stars come to town Friday.